It seems like USB decrapification is really becoming a thing these days. 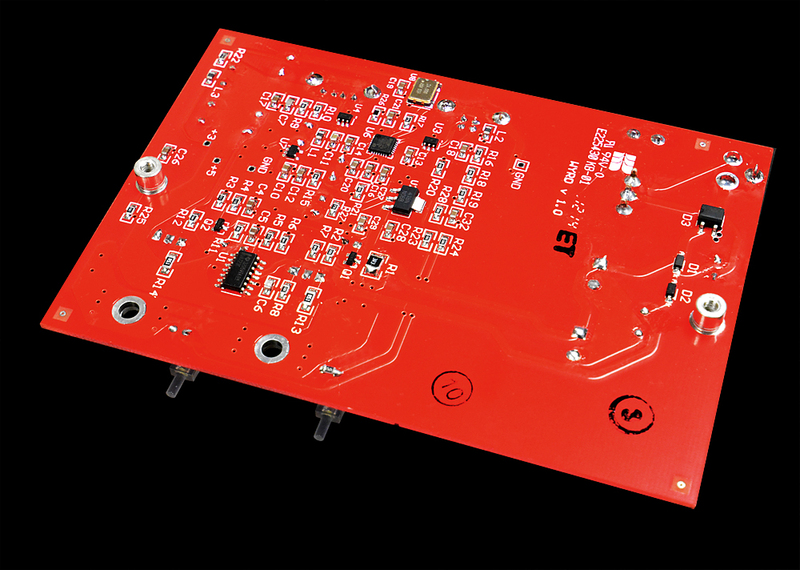 Of course, other people call it different things, but let's face it: Wyrd was the first device to combine both a low-noise, linear power supply and USB hub chip (or "regeneration," if you want to be fancy) with a precision crystal oscillator. What does all this tech talk do for you? Simple. It can solve some sticky USB audio problems. 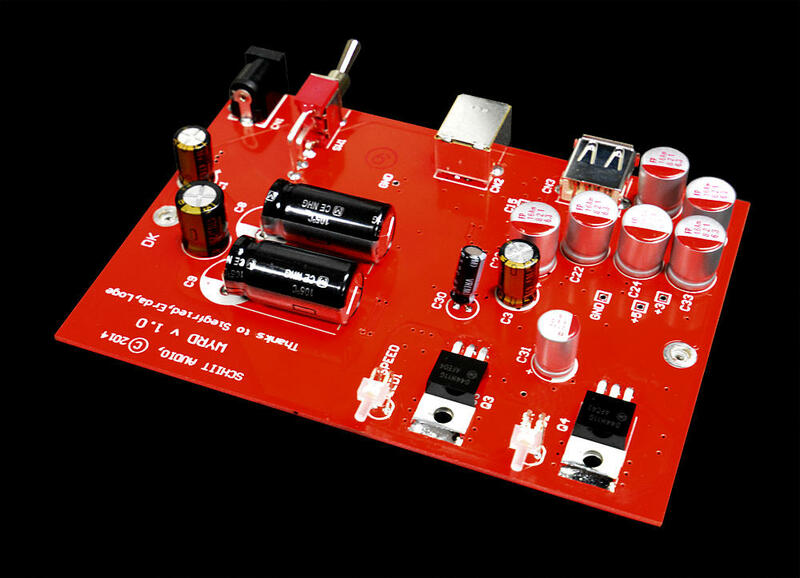 Have you ever heard strange noises from your USB DAC? Or have you had it “drop out” after the computer goes to sleep? Or does your computer have trouble recognizing your DAC at all? It could be due to noisy USB power, or USB port power management. 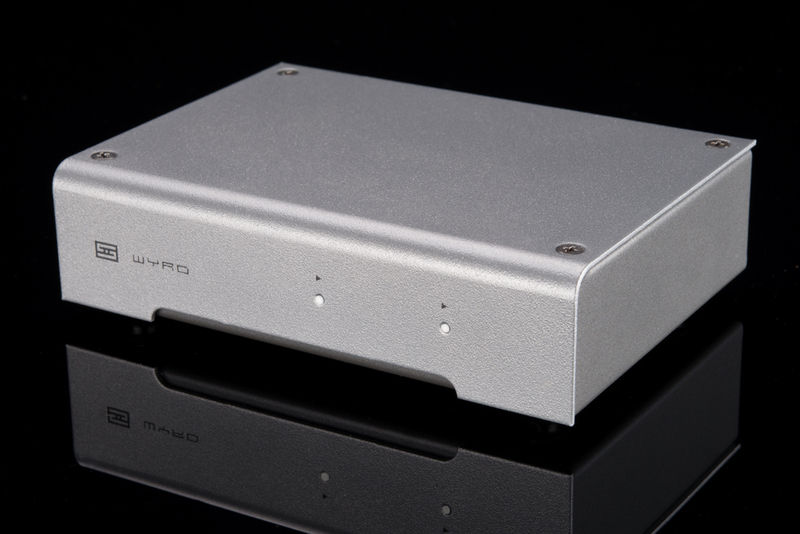 Wyrd has you covered—Wyrd is the only USB decrapifier that includes a linear power supply (not a noisy switcher) and precision 2.5uV LM723 regulators with discrete pass elements for up to 200,000x less noise than what comes out of your USB port, up to 500mA—the full USB 2.0 spec. Yes. Some listeners say Wyrd improves the sound of their system. We won't make any such claim to sonic nirvana—sorry, creating expectation bias and neuro-lingustic programming ain't something that we do. Sonic improvements are for you to decide. The rest of it—color printing and data stability—that’s like saying charging your iPhone off Wyrd makes the battery last longer. Have fun with that one. 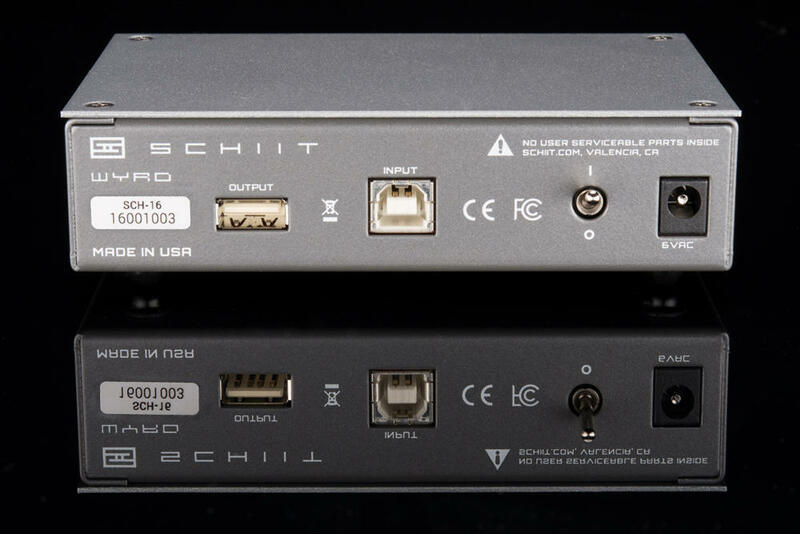 Wyrd isn’t limited to working with Schiit products. 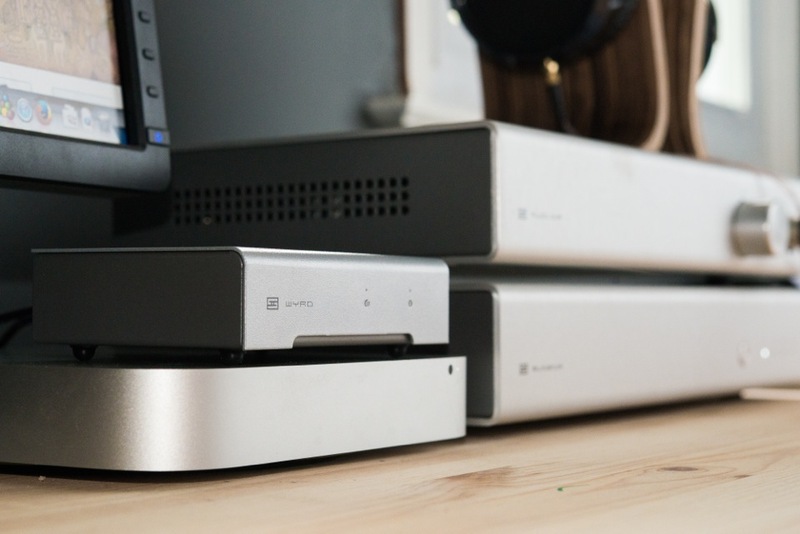 You can use it with any USB DAC—2.0, 1.0, 32/384, DSD1024, whatever—it doesn’t care. All it’s doing is cleaning up the USB connection, and it supports all USB Audio Standards. By “designed and assembled in USA" this is what we mean: the vast majority of the total production cost of Wyrd—chassis, boards, transformers, assembly, etc—goes to US companies manufacturing in the US. Our chassis are made minutes from our facility. Our PCBs are done just over the hill from us, or done in NorCal. Yes, the wall-warts are made in China, but there's some give and take at this price point. Wyrd is covered by a limited warranty that covers parts and labor for 2 years. If you don’t like your Wyrd, you can send it back for a refund, minus 15% restocking fee, within 15 days of receiving it. It isolates your USB DAC from the noisy USB power coming from your computer, and provides a stable, precise oscillator to repeat the USB 2.0 packets with a USB hub chip. You’re right. There’s no reason this should make any system sound better. Although we can measure the difference in USB power supply noise, it really shouldn’t matter if the bits make it through. Despite this, some listeners have said that there are sonic benefits from using Wyrd. Us, we remain Swiss on the matter—we don’t do the hard sell by promising sonic nirvana. Gimme some technical details on what Wyrd does, please? Wyrd does two things: it replaces the noisy USB power from your computer with a low-noise linear power supply (no switchers here!) with precision regulators rated at 2.5uV RMS noise. (Or, as Mike Moffat says, “on the 8th day, God called National Semiconductor and told them how to make the best regulator in the world, the LM723."). This is literally 200,000x better than some of the USB ports we’ve measured, which have up to 500mV of high-frequency noise. It also uses a tightly spec’d crystal oscillator on its own filtered power supply for the USB repeater chip, for best possible stability. Are you saying I need to get this thing if I have a USB DAC? Nope, not at all. Most USB DACs work just fine when running on computer power, without any hitches, glitches, or strange noises. However, if you have USB power problems, this is a great way to eliminate them. Especially if it’s a USB-powered DAC. Well, I could just buy a $20 powered hub if I’m having USB port power management problems, right? Yep you can, and yep, that would solve that problem. You could also buy much more expensive USB decrapifiers, too. That's entirely a personal decision. Isn’t this just a way to get another $99 out of us? Not unless you buy it…and keep it.